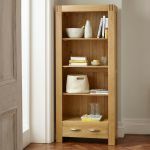 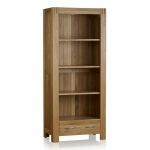 Expand your home library and invest in the eye-catching Alto Natural Solid Oak Bookcase - made from only high quality solid oak throughout. 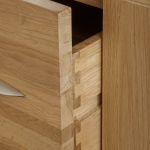 Each piece in the Alto collection is carefully designed to bring exceptional strength and durability to the piece. 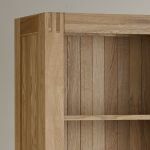 The top corners of the bookcase feature the trademark Alto finger joints, which is a traditional joint best known for its longevity and distinctive appearance. 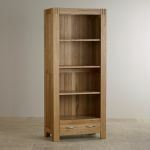 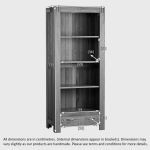 For extra storage options, the bookcase features a spacious drawer at its base which is crafted using robust dovetail joints with solid oak linings. 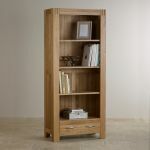 Other quality touches include sleek, brushed metal handles, inlaid panelled sides and a lustrous waxed finish.